The announcement for LittleBigPlanet 3 was one of my favorite parts of Sony’s Press Conference during E3 2014. Not because I’m the world’s biggest LittleBigPlanet fan, but because…they just popped it on the screen. No big moments leading up to an epic reveal–just boom, LittleBigPlanet 3–nothing more to be done. I think LittleBigPlanet‘s history speaks for itself; it’s one of Sony’s most versatile properties. 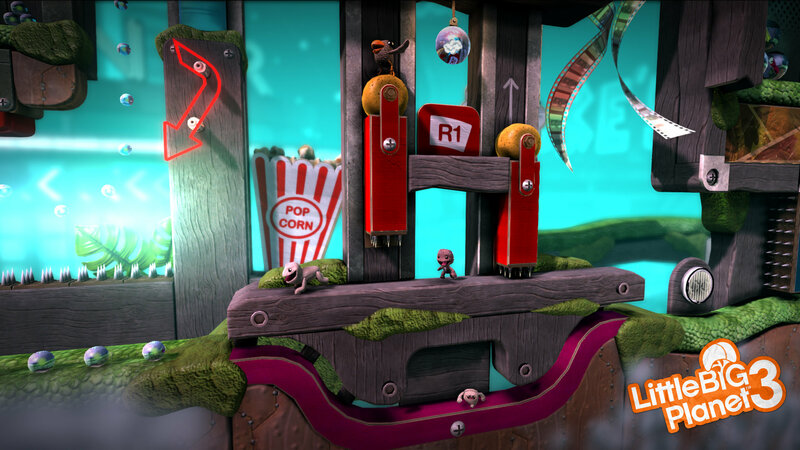 There are a few unique things about LittleBigPlanet’s debut on PlayStation 4. Before going into my impressions of the game based on what I played on the show floor, just know: Sackboy’s got a few new friends, this LBP isn’t developed by Media Molecule (hopefully they’re working on another Tearaway; you all know how I feel about that game! ), and…every single user-generated level from the previous games is backwards compatible with LittleBigPlanet 3. A quick note regarding Sumo Digital: they worked on some LittleBigPlanet 2 DLC, and you probably know them from Sonic & SEGA All Stars Racing as well. The demo on the show floor was actually identical to what all of us saw during the conference. 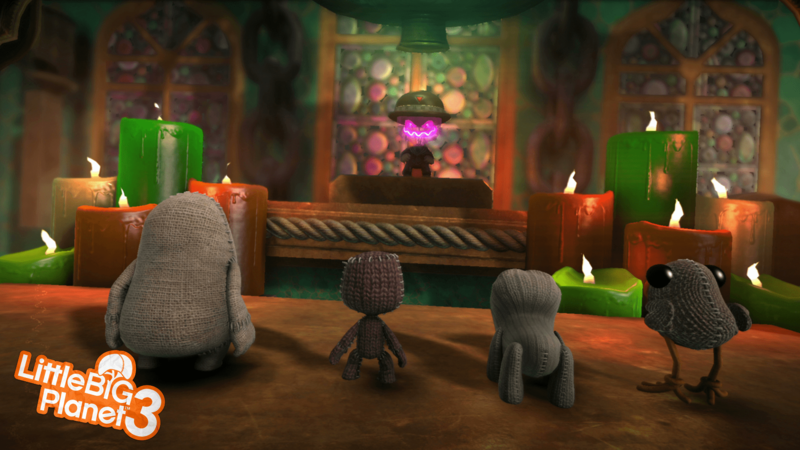 One player (me, actually) took up Sackboy, and three others took up his new friends Toggle, Oddsock, and Swoop. The demo (and I assume the final game) seemed heavily focused on teamwork. 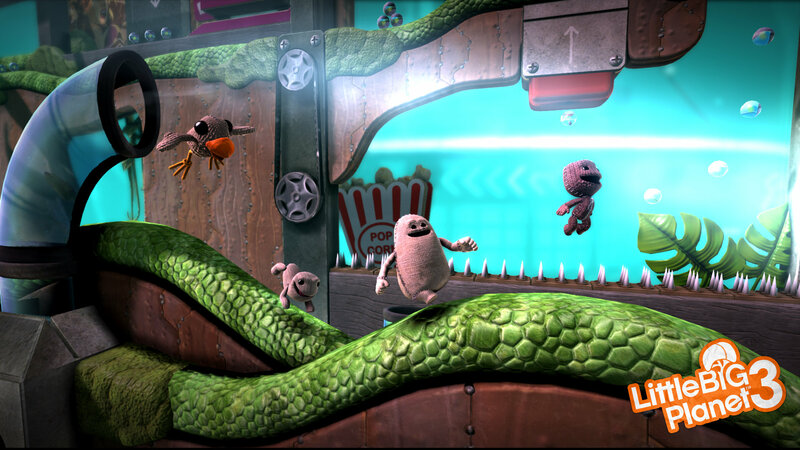 Sackboy freed Toggle, who then helped him free Oddsock. And then we ran into Swoop. All four people playing had to cooperate in order to advance. I can’t speak for the others, but at least Sackboy controlled as he should! I used a fan (operated by pressing R1) to solve puzzles allowing the others to advance. Nothing seemed unreasonable or too difficult. You could tell when you needed Toggle to increase his size to weigh something down, or when you needed Swoop to fly and operate a switch. Regarding presentation: I can’t really speak to the game’s soundtrack due to the convention setting, but the visuals were definitely top-notch. Everything looked incredibly lifelike; the imaginative world of LittleBigPlanet looks even more incredible on PlayStation 4. The controls aren’t confined; everything felt exactly as it should. Sumo Digital has put more than just visual polish into the new game; you can tell the controls are going to work out perfectly as well. 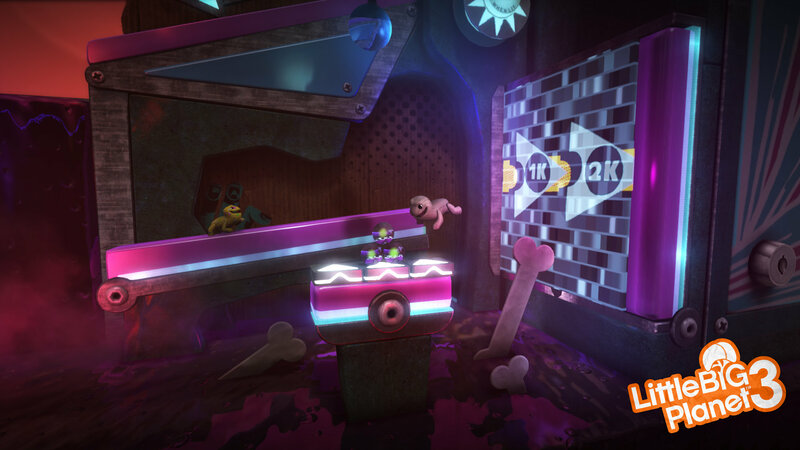 This new take on LittleBigPlanet gameplay seems heavily inspired by the success of Nintendo’s Super Mario 3D World, in my opinion. The two games will probably feel very similar–ergo, very possible to play single player, but will probably feel better with others to help you out along the way. Regardless of what it was inspired by, I promise fans of LittleBigPlanet worried because Media Molecule isn’t heading up this project one thing: the gameplay hasn’t been watered down. LittleBigPlanet 3 still has every bit the charm of the previous games. Want to know more? The game is coming this November. We’ll offer more information as it comes; I’m sure there will be much more to share between now and the game’s release!